← What does the first watch look like? Today’s Employee Jewelry Pick is by Sarah from our Harbison location. She picked “Diamonds” as her favorite jewelry pick. Why did you pick Diamonds? – Diamonds are a girl’s best friend! Diamonds make people happy! People really love seeing and wearing sparkly jewelry! If someone purchases a diamond from Jewelry Warehouse, can they swap it for another one? – Yes, we have 100% trade up program, for any diamond. This program simply means that at any point after you purchase your diamond from Jewelry Warehouse, you may trade your diamond up to one of greater value. You can trade up to a larger size diamond, a diamond with a higher quality, or both. The diamond needs to be in its original undamaged condition and accompanied by its original grading report. Any type of diamond is included in the trade up program? – Yes, Solitare diamonds, and shape and any color except black. 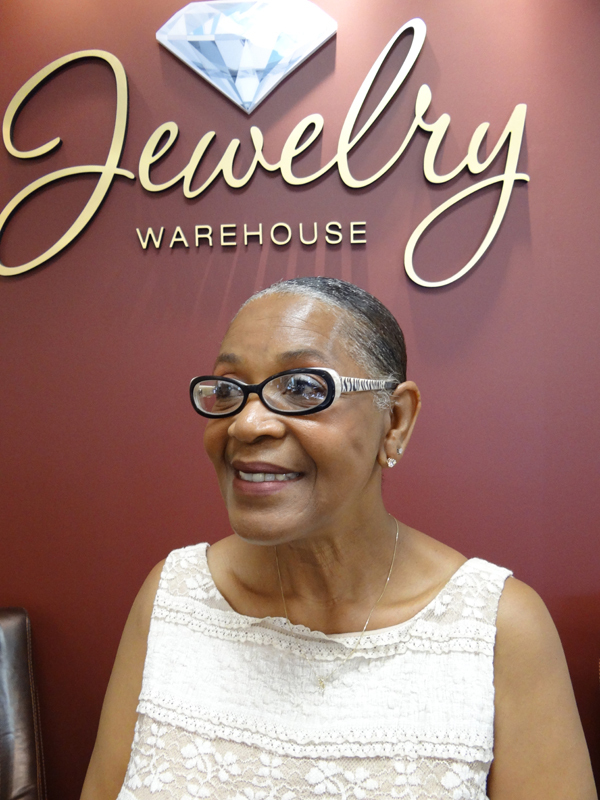 Can you tell us about the diamonds that Jewelry Warehouse has, as far as quality? – Jewelry Warehouse has an excellent diamond buyer. They are hand selected, not only for quality, but for value. What is the best way to keep my diamond looking sparkly? – We care about how your jewelry looks and want you to be able to always make your diamond shine and sparkle – just like the day that you got it. To keep your diamond looking beautiful, an Ultrasonic Jewelry Cleaner is included with every diamond solitaire purchase over $1000.00. For more information about our diamond trade-up program and a our diamond collection, stop by any Jewelry Warehouse location, or visit our website online! This entry was posted in Employee Picks, Jewelry News and tagged diamond earrings, diamond jewelry, diamond necklace, diamonds, employee jewelry pick of the week, jewelry pick. Bookmark the permalink.